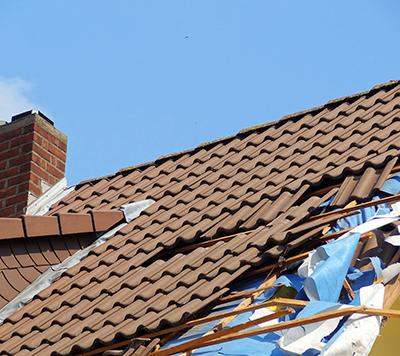 Racine Roofing and Remodeling provides Roof Repairs repair services in Racine, Kenosha, Sturtevant, Caledonia, Milwaukee and Franksville, as well as all of the Wisconsin. At Racine Roofing & Remodeling, we want to provide solutions to your small problems, if it can avoid a larger cost to you in the future. Roof maintenance and repair are steps you can take to stay on top of your roofing needs. We are knowledgeable about and always operate under the municipality’s permit process, in addition to having the experience and credentials that you want from your roof repair expert. Five of the most common roof repairs include shingles, flashing, gutters, soffit, and fascia. Shingles: Discolored, curling, cracked, torn, bald, or altogether missing shingles leave the wood underneath susceptible to rotting, holes, and other damage. Also, look for ‘nail pops’ where the nails have pushed the shingle up into the air. Discoloration can occur from algae growth and can decrease your shingles’ lifespans. Flashing: Flashing is the material used around vents and pipes and is a prime spot for damage or leaks. It is usually a strip of metal and is also used to stop water from penetrating the junction of a roof and another surface. Ensure your flashing is in proper care to prevent damage to your siding or even your deck framing. Gutters: Your gutters are highly likely to get water and debris build up, as well as experience ice damming, which will cause mold and mildew under your roof. Gutters work to direct water away from your windows, siding, foundation, and other vulnerable parts of your home, so make sure they are in great shape by contacting our roof repair specialists today. Soffit: Look for cracks, holes, and rotting that can be caused by small animals and insects who are attracted to the wood beneath the roof overhang. Your soffit does more than just add visual interest and give a finished look to your home. It also helps to protect the exterior of your house by keeping out pests like bats, birds and squirrels, and it gives you a way to disguise ventilation for your attic. Inspect your soffit for peeling paint, as it is important to keep it well-painted, sealed and caulked. Fascia: The front board along your roofline can be easily damaged by moisture, because when water backs up, the first place it wants to go is to the fascia. You may now choose fascia made from synthetic and composite materials like UPVC and vinyl, because they offer easy maintenance and durability.